“Sawtooth-White Cloud,” the book Nicole authored with Photographer Mark Lisk, got runner up Idaho Book of the Year from the Idaho Library Association and her essay “Sometimes It’s Just the Light” was the final essay in the Book of the Year winning essay collection, “Idaho Wilderness Considered." amzn.to/2DVwbgFRediscovered Publishing released A Kid's Guide to Boise. The book is a complete guide for what to do, where to go, what to eat all around Boise for kids and their parents - whether they live here or are just visiting. It is available at Rediscovered Books or online. 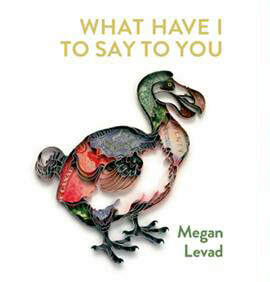 April 6, 2018--Poet Megan Levad returns to Boise to read from her new collection, What Have I to Say to You, which has been praised as "the kind of book one happily reads over and over," "an uninhibited and thoroughly pleasurable reading," and "a wonderful human accomplishment." 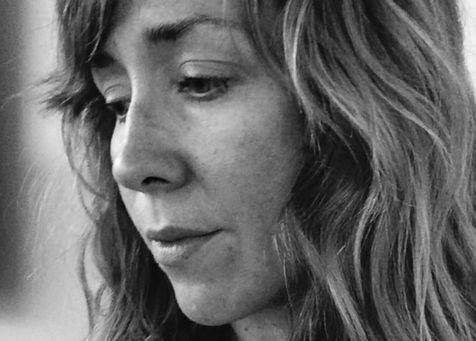 Megan will be reading at 7:30 pm at MING Studios, 420 S 6th St.
April, 2018--They're back! All four Writers at Harriman teaching writers, Megan Levad, Chris Dempsey, Nicole LeFavour, and Malia Collins will be returning for the 2018 camp in August. We're also pleased to announce that Jessica Holmes, from Story Story Night, will be back to teach an optional (don't miss it!) class on storytelling. The Hidalgos will be back, too! Dan and Kara Hidalgo will be surprising students with optional art classes. Naturalist Allen Dale returns for his second year. Don't miss your chance to go on a nature hike with him, or ask him about anything that flies. April, 2018--Writers at Harriman Director Rick Just hit a milestone recently with his blog, Speaking of Idaho. The daily history post now has over 4,000 followers. You can find Speaking of Idaho on Facebook, or go directly to his blog at rickjust.com. May, 2017--Rick Just, director at Writers of Harriman, has a new book out. It's in Arcadia Publishing's Images of America series, titled Idaho State Parks. The state parks photo history is available at bookstores in Idaho, on Amazon, or from the publisher.